Well... Inmates are packed like sardines in those prison cells designed to hole about 30 each, an article published by HPN a while ago suggest that as much as 150 inmates are placed in a single cell at the Penitencier. My father told me some horror stories about that place... He was a political prisoner under the Duvalier regime for over 6 years at the Penitencier Nationale. 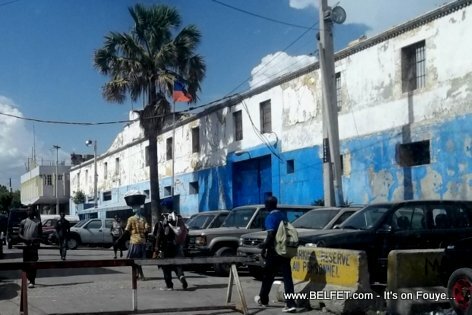 In order to prevent the overcrowded prisons in Haiti, the government should build new prisons in the isolated places.